news The chief information officer of National Australia Bank has delivered a major speech arguing that it’s too early for any of Australia’s major banks to “claim victory” in the race to upgrade their aging technology platforms, in comments that run directly counter to the Commonwealth Bank’s ongoing claims that it is far ahead of its rivals in the area. 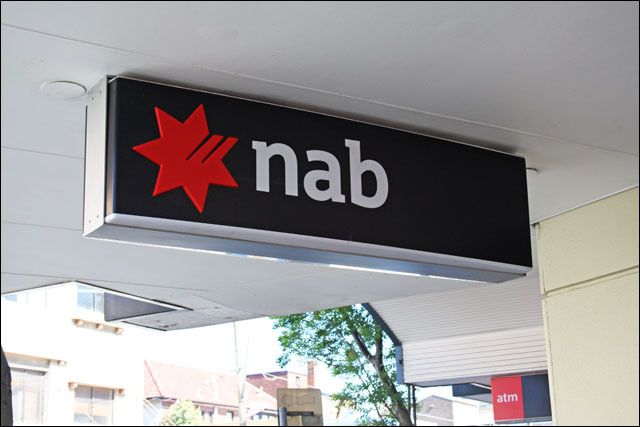 Like CommBank and Suncorp, NAB is currently engaged in a major upgrade of its core banking platform. Dubbed dubbed NextGen for ‘Next Generation Platform’, the project has been in the works since at least August 2008, when the bank announced it had picked Oracle’s i-Flex platform as the centrepiece of its banking operations moving forward. However, the project is believed to be running significantly behind CommBank’s overhaul. With its own project, NAB chose to dip its toe in the water first, rolling out the technology in its UBank online brand first to get some early lessons. In 2011, as CommBank was stating that its own overhaul was largely completed and had started to deliver results for the bank, NAB stated that it had defined the targeted operating state for NextGen, was building the platform, and had activated some of the new platform’s functionality — such as customer analytics tools. But the bulk of the work was still to come. In 2011, the bank noted at the time, it would deploy what it described as the “foundation release” of NextGen, as well as making a new general ledger system operational and deploying extra capability through the program into its securitisation platform. While taking place a little less rapidly than CommBank’s project, NAB’s overhaul still in general places it ahead of other rivals when it comes to core banking modernisation in general. Suncorp has only just kicked off its own project, while Westpac is upgrading its existing CSC platform with the vendor’s new Celeriti software, and ANZ has not revealed any plans to upgrade its core systems. 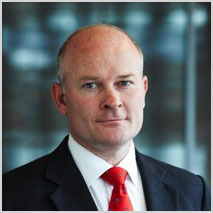 In March 2011, Commonwealth Bank CIO Michael Harte shrugged off NAB’s core banking overhaul as the “Jetstar” of overhaul projects, in a briefing in which the executive and other CBA leaders repeatedly emphasised that CBA’s own $1.1 billion revamp put it technologically between two and five years ahead of its rivals. However, speaking at the Future of Banking & Financial Services conference in Sydney today, NAB CIO Adam Bennett (pictured) rejected claims his organisation was behind. The comments were first reported by the Financial Review. “It is too early to claim victory — for NAB or any of our competitions, as the challenges facing us all are long tail,” he said with respect to banking IT modernisation. To illustrate the depths of the change still to come, Bennett said NAB’s technology team was currently a third of the way through what he described as a multi-year, multi-billion-dollar “total environment transformation”, which would affect “all elements” of the bank’s technology environment, ranging from customer-facing channels such as Internet banking, its network, its hosting services, its desktop and workplace services, its physical infrastructure, its payment systems, and its core banking platform. In total, he said, NAB was moving its “entire IT function” from what he called the legacy model of being a “builder of systems”, to the new model which is an “orchestrator” of services. The bank’s strategy was built on three key planks, he said: Building increased resilience across its environment, moving to a modern platform (including ‘switching off’ the bank’s oldest and most bespoke systems) and creating new flexibility and customer potential. Joining the steering committee of the Open Data Centre Alliance. It’s not the first time in recent memory that NAB has sought to publicly outline its internal IT transformation in detail. In March, NAB group executive of Group Business Services Gavin Slater gave a similar speech (but perhaps with a few less technical details) to a lunch held by the Trans-Tasman Business Circle about the bank’s IT operations. To be honest, I have to say I am very impressed by what NAB is doing at the moment. Out of all of the banks (and this includes CommBank), I would have to say that NAB’s internal IT transformation appears to be the most wide-ranging. The bank isn’t just overhauling its core banking platform. It’s not just modernising its IT infrastructure and implementing a private cloud. And it’s not just providing new staff-facing desktop systems. It’s doing all of these things and many more at the same time, while also conducting outsourcing operations, upgrading and replacing many of the systems surrounding its core, implementing a major new datacentre, reforming its telecommunications systems and so on. If you look into any discrete aspect of NAB’s IT operations, odds are the bank is doing something there to improve its lot. To be fair, banks like Suncorp had already conducted some of these upgrades, and all of the other banks have similar projects which tackle some of what NAB is tackling. But I have to say that NAB’s program is likely the most ambitious so far. One of the most interesting things about the conversation at the moment when I speak to Australian banking technologists, is that the conversation always revolves back to CommBank. CIO Michael Harte and his team have made so much noise around their core banking modernisation program that it’s hard for the other banks to explain their own strategies without finding themselves universally compared to what CommBank is doing. But much of this is sheer hype and great PR that CommBank is generating itself, using its gargantuan resources to tilt the public conversation in its favour. When you dig a bit beneath the surface, as we’ve seen with NAB this week, the truth is that some of the other banks have projects which are just as ambitious and perhaps even more wide-reaching than the initiatives occurring at CommBank. Unfortunately, this is a fact that not everybody in Australia’s banking IT scene acknowledges. yeah, ANZ doesnt accept special characters, worse IMO. nab are just really good at spin. The fact is it’s taking them 3-4 years to upgrade uBank from one version of Oracle to a newer version or Oracle. nab ‘red star’ customers will be another few more years given how slow they operate! All these modern systems being put in place, yet we still have to wait 24 hours (or sometimes more) for an inter-bank transaction to complete! When all the banks shift to modem systems, instant transfer will be able to occur between banks. CommBank can already do this, it’s just waiting on the other banks. NAB internet banking passwords must be between 6 and 8 characters, which I find troubling.